Began kickboxing at the age of three. Joined 96 Penang Gym located in the infamous Klong Tuey slums and known as one of the most intense gyms in Thailand. After joining, he moved into a gym dorm where he slept and took his meals while practicing Muay Thai. Shirou made his Japan debut at Korakuen Hall at the age of 16. He won by KO in the second round. 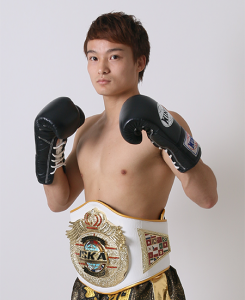 Made his first attempt at New Japan Kickboxing Association’s Bantamweight Title Match at Korakuen Hall on May 13, 2012. Thought the match ended in a tie, the spectators booed so loudly afterwards that it overwhelmed him. But his skills shown in the match left a lasting impression on those associated with Japan kickboxing.